Nicaragua, the largest of the Central American countries, lies between Honduras and Costa Rica with the Pacific Ocean on one side and the Caribbean on the other. Spain maintained control over the region from the 1500s until 1821, when the independent nation was established. In the early 1900s the US occupied Nicaragua, and throughout the century continued to exert influence over the country's internal political situation. Two decades of revolution/civil war finally ground to a halt in the 1990s, but though the country remains impoverished and somewhat unstable politically, it is nowhere near as violent as Honduras or El Salvador. The economy has historically been based largely primarily on agriculture, especially coffee, though tourism is becoming an increasingly important sector, with more and more visitors coming to enjoy Nicaragua's natural beauty and rich culture. With miles of coastline and enchanting tropical forests, Nicaragua has great potential as a golf destination, though as yet there are only 4 courses in the entire country. The finest of these is certainly Guacalito Golf Course, which is situated on the country's "Emerald Coast"; David McLay Kidd's 18 holes here are up to the highest standards. 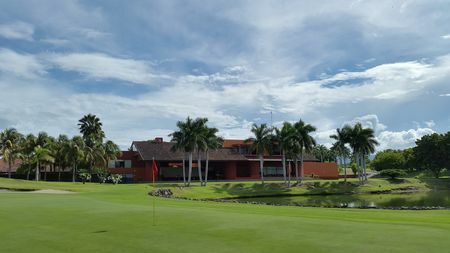 Also worthy of mention are Gran Pacifica Golf and Country Club, where 9 holes are in operation with two more 9's on the way, and the exclusive Nejapa Golf and Country Club in Managua, the nation's capital.